Less than two weeks before the start of early voting, a federal judge ruled the state’s photo voter ID law unconstitutional late Thursday and ordered state officials to drop the new requirements. A spokeswoman for Attorney General Greg Abbott said the state would immediately file an appeal to the U.S. 5th Circuit Court of Appeals. "The State of Texas will immediately appeal and will urge the Fifth Circuit to resolve this matter quickly to avoid voter confusion in the upcoming election,” Lauren Bean said in an emailed statement. “The U.S. Supreme Court has already ruled that voter ID laws are constitutional so we are confident the Texas law will be upheld on appeal." The voter ID law, enacted last year, requires most citizens (some, like the disabled, can be exempt) to show one of a handful of allowable photo identification cards before their votes can be counted. 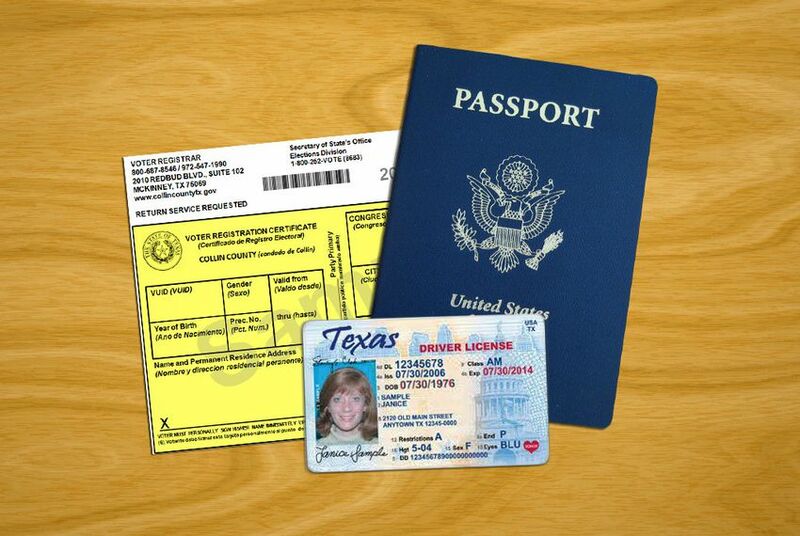 Acceptable forms of photo ID include a Texas driver's license or state ID card that is not more than 60 days expired at the time of voting, a concealed handgun license, a U.S. passport, a military ID card or a U.S citizenship certificate with a photo. The state’s voter ID law was passed in 2011 but had been on hold until a 2013 U.S. Supreme Court ruling that cleared the way for its implementation. Opponents of the law — including the U.S. Department of Justice and lawyers for some minority groups in Texas — filed suit, claiming the law violates the federal Voting Rights Act and was intended to cut into the electoral strength of the state’s growing minority population. The state maintains the law ensures the security of the ballots cast by voters and prevents voter fraud. Attorneys for the state argued that there is no evidence the law will keep legitimate voters from voting. Attorneys challenging the law said there is little evidence of the kind of in-person voter fraud the law is intended to prevent. The judge heard three weeks of evidence in September and issued her opinion on the same day that the U.S. Supreme Court stopped immediate implementation of a similar law in Wisconsin. It was not immediately clear what will happen to this year’s general election. The judge said she would schedule a conference with the lawyers to discuss it, and a successful appeal by Abbott, who is also the Republican nominee for governor, could put the law back into effect for this election while the courts sort out a full appeal. State Sen. Rodney Ellis, D-Houston: "Texas has a long and sad history of making it difficult for people to vote. Elected officials repeatedly used the law to keep people out of the voting booth. Decades later, history rightly judges those men and women in a harsh light. As the court ruled, the voter ID law is essentially a modern day poll tax and has the same effect as other laws used in decades past to keep scores of lawful, legal Americans from voting. It was wrong then, it is wrong now, and I'm pleased the court stood up to protect the right to vote for all Texans." Democratic gubernatorial candidate Wendy Davis, who is running against Abbott: "This is great news for democracy. I call on Attorney General Greg Abbott to drop his defense of a law that a court has now called a 'poll tax' and 'discriminatory' against African-Americans and Hispanics."